Product prices and availability are accurate as of 2019-04-19 05:45:09 EDT and are subject to change. Any price and availability information displayed on http://www.amazon.com/ at the time of purchase will apply to the purchase of this product. 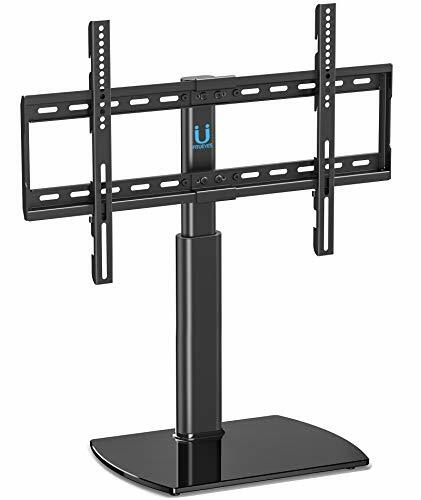 8mm black tempered glass,Capacity for shelf:55lbs, 88lbs for mount,80*40mm iron tube with cable management system to hide the messy cable Shelf width 13inch, mount Max. 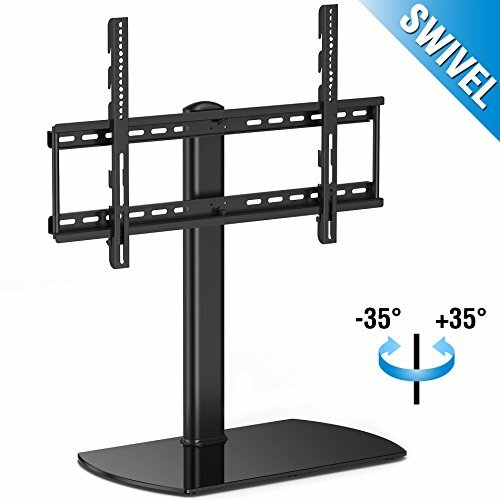 depth 27.5 ".The rack has three different heights can be adjusted 26.2"/28.5"/30.9".This unit weight is at just 19pounds. 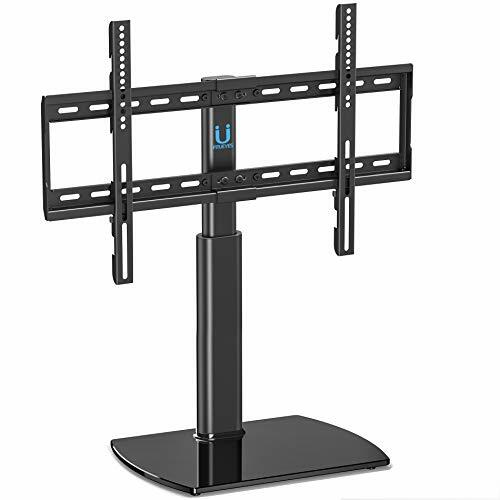 his mount will fit most TVs from 32 to 65inches in size and weight up to 110 pounds. 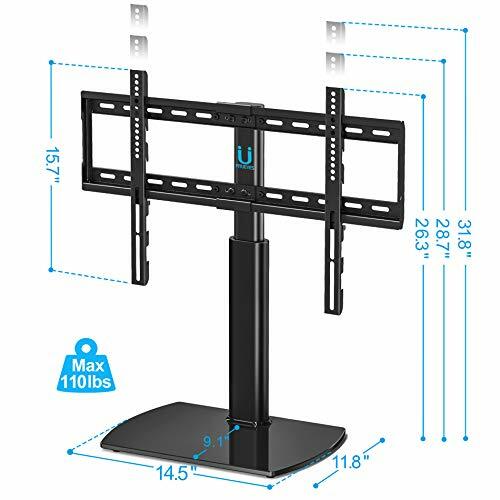 To make sure this mount will fit insure your TV's VESA bolt pattern falls between these two sizes : 100(h)mm x 100(w)mm up to 400(h)mm x 600(w)mm. 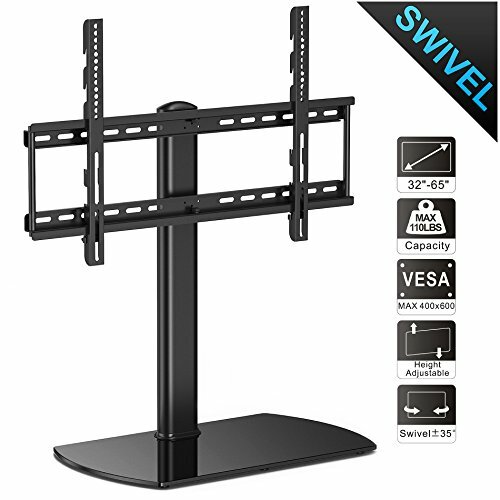 If your TV's VESA pattern falls between these two sizes then it will fit your TV 6 pieces runner pad on the bottom of the base make it stable and to protect your furniture Masterfully Hide your Wires! - No need to see those wires anymore! A specially designed wire management is made to hide all your wires. 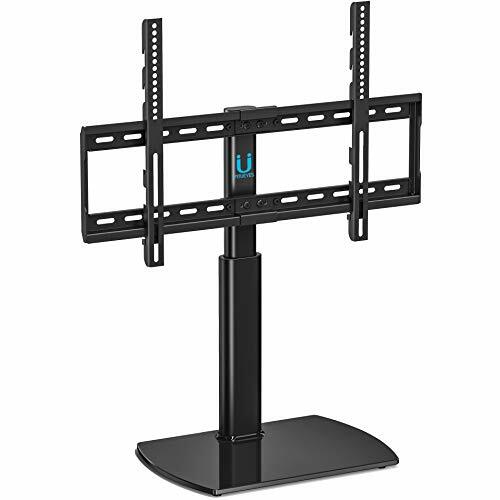 Power cords, HDMI cables and the like are well hidden from view. This also enables you to hide the wires without going through the wall and making holes and or hiring an electrician to do it.